Winning a World Series of Poker gold bracelet can be an emotional experience. 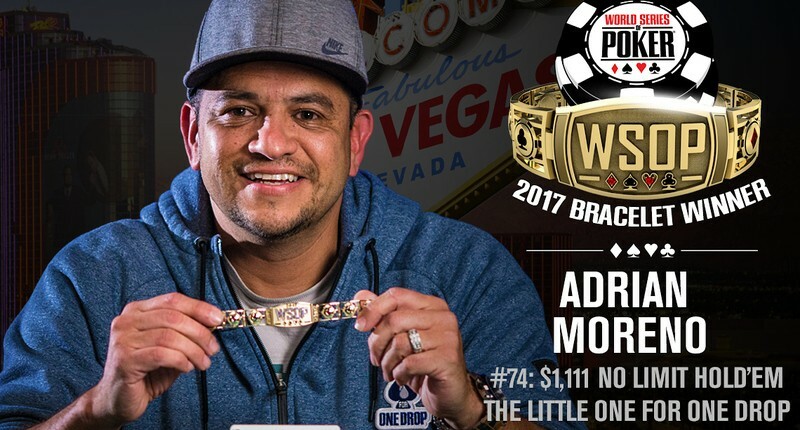 Sometimes that emotion is pure joy or relief, but when Adrian Moreno emerged victorious in the $1,111 buy-inLittle One For One Drop no-limit hold’em event the tears he cried were also tinged with sorrow for a close friend who recently passed. Moreno, a 48-year-old Ontario, California native, earned his first WSOP gold bracelet and $528,316 after defeating a field of 4,391 entries. He dedicated the win to his late friend.
. Moreno took the lead after that hand, but not for long. Martin Lesjoe leapfrogged him by knocking out Berkey, getting all-in with second pair and a flush draw against Berkey’s top pair and hitting the flush on the turn. Berkey earned $240,588 for his deep run in this event. Lesjoe took a solid lead into the final heads-up battle, but Moreno was able to find a double to even things up. By the time the final hand arose he had built a 2-to-1 lead of his own. In the end he got all-in with a staright and flush draw against Lesjoe’s top pair and hit the nut flush on the turn to secure the pot and the title. Lesjoe was awarded $326,314 as the runner-up. This tournament was the last of 74 events that made up the 2017 WSOP. Of course, it is worth mentioning that the main event is ongoing despite beginning before this tournament. The event drew a sizable turnout and built a $3,951,900 prize pool in addition to generating $487,401 for the One Drop foundation, the WSOP-partnered charity that helps provide sustainable access to safe, clean water for the underprivileged around the world. The money for charity came from an optional $111 add-on that garnered players additional chips. Every single player in the tournament opted to make the donation. 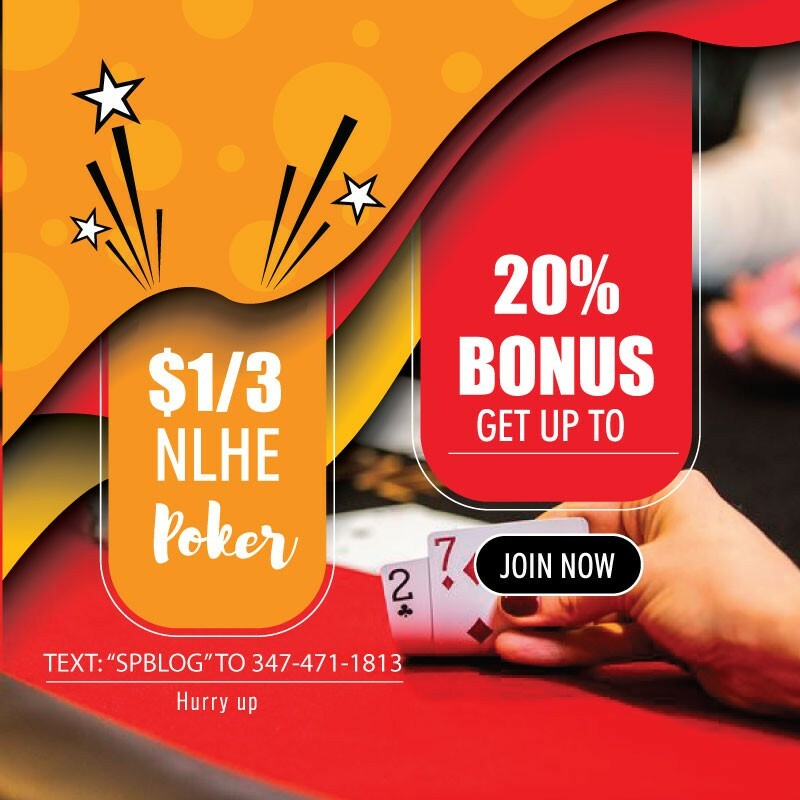 Courtiebee – $162 Bounty Builder Final Table!